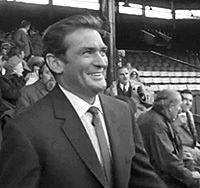 Rod Taylor plays Scobie Malone, an Australian detective who is sent to London to arrest the Australian high commissioner for the murder of his first wife 25 years before. But when Malone gets to London, the high commissioner, Sir James Quentin (Christopher Plummer), calmly asks Malone if he could wait until he completes his work in negotiating some delicate peace talks. Malone agrees, and Quentin even invites Malone to stay at his home. Malone becomes reluctantly involved as a bodyguard, and he saves Quentin from a couple of assassination attempts. He also grows convinced that the commissioner is not guilty of the murder. A trio of beautiful women provide added mystery: Quentin's secretary (Camilla Sparv), his second wife, Sheila (Lilli Palmer) and the exotic Madame Cholon (Daliah Lavi). 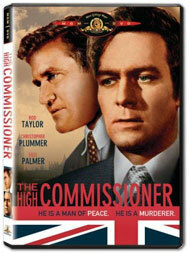 As the cop, Taylor gives a thoroughly likeable and credible performance as a man clinging to his duty. 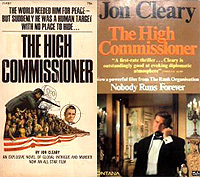 The movie was titled "Nobody Runs Forever" in Britain; it's known as "The High Commissioner" in the United States and elsewhere. Taylor's own Rodlor Inc. was one of the production companies. A gala premiere of "Nobody Runs Forever" was held at the Odeon Theater in London in August 1968. 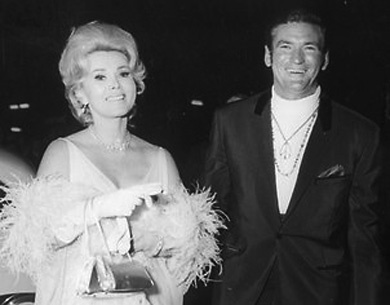 Rod Taylor escorted Zsa Zsa Gabor to the show. Later, Rod was the guest of Australian Prime Minister John Gorton at a small dinner party held at The Lodge, Canberra, on Sept. 15, 1968. After dinner, they joined other guests at a special preview showing of "The High Commissioner." The informal evening was part of a week-long visit to Australia, during which Rod attended the Australian premiere of the film in Sydney. 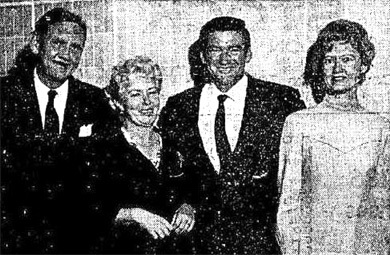 Biographer Stephen Vagg writes in "Rod Taylor: An Aussie in Hollywood" that Rod took the opportunity to discuss the state of the Australian film industry with the prime minister. Vagg notes that Gorton was genuinely interested in Australian filmmaking and established institutions that were crucial to the revival of the industry in the 1970s. It's hard to know how much Rod's efforts helped, but as Vagg expertly writes, "Rod's high-level lobbying on behalf of the Australian film industry in the late 1960s is something he has never receive sufficient credit for; it is far more than many Australian expats of similar stature (e.g. Errol Flynn) ever did. Rod is pictured above with Australian Prime Minister John Gorton, Bettina Gorton, and their daughter Joanna Gorton. Scobie Malone is a fictional Sydney homicide detective who appears in a series of 20 books by Australian novelist Jon Cleary. "The High Commissioner," published in 1968, was the first of this series. 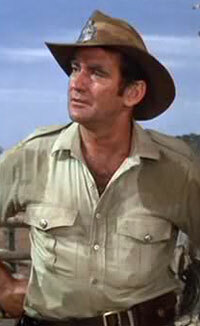 In "Rod Taylor: An Aussie in Hollywood," biographer Stephen Vagg notes that Cleary thought Rod "was as Scobie was at that stage, because he was unmarried and a bit callow." Rod was reluctant to take the part at first because he thought the dialogue wasn't lively enough and also he was worried that he couldn't manage the Australian accent after being a "phoney American" for so long. Rod eventually agreed as long as they let him "fiddle with the script." Cleary didn't like the changes, especially the opening scene with Rod making an arrest in the outback. The author thought that this departed too much from his true-to-life vision of police work. Cleary said he lost interest in the film because there was no way a "country sergeant" would be sent to London to arrest the High Commissioner. Wilfred Greatorex, a writer for documentaries and TV shows, is credited with the screenplay. of the Jon Cleary novel.